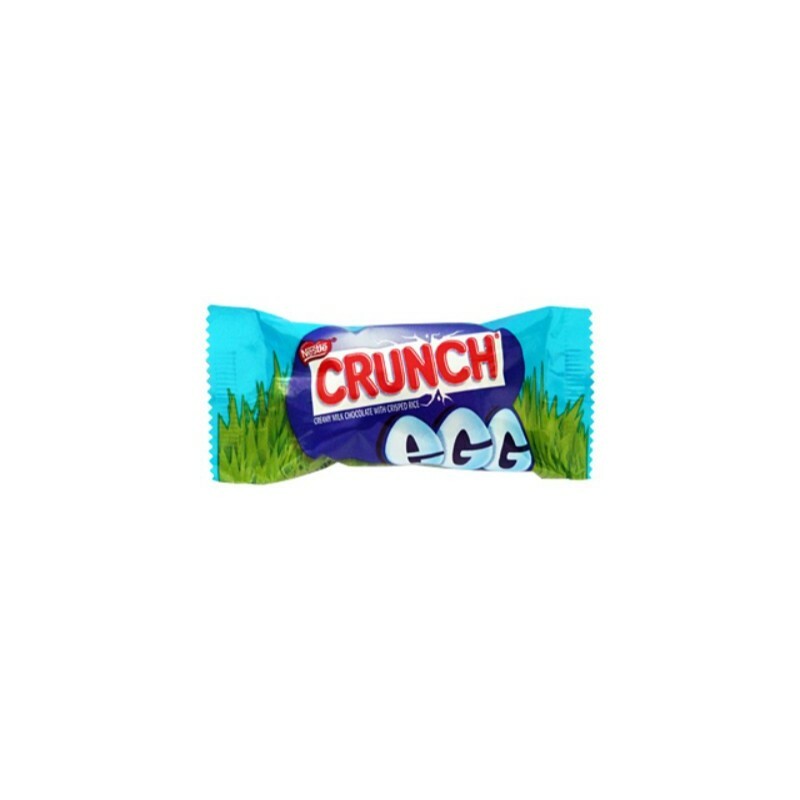 Crunch Easter Eggs are the perfect sweet and crunchy addition to your Easter basket! 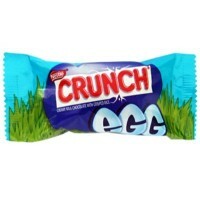 Crunch bars feature light and crunchy puffed rice grains sprinkled generously into succulent milk chocolate. And this seasonal edition comes in an egg shape wrapped in foil of assorted colors, so these treats are sure to brighten up your holiday! Milk chocolate (sugar, cocoa butter, chocolate, nonfat milk, milk fat, lactose (milk), soy lecithin E322, vanillin artificial flavor), crisped rice (rice flour, sugar, barley malt, salt). May contain peanuts, nuts, wheat. Contains GMO. Nutrition facts (for 100g): calories 500Kcal, total fat 26.2g (saturated fat 16.7g), total carbohydrate 66.7g (sugar 54.8g), protein 4.8g, salt 0.3g. Se trata de una mitad de huesito, deliciosa y crocante.